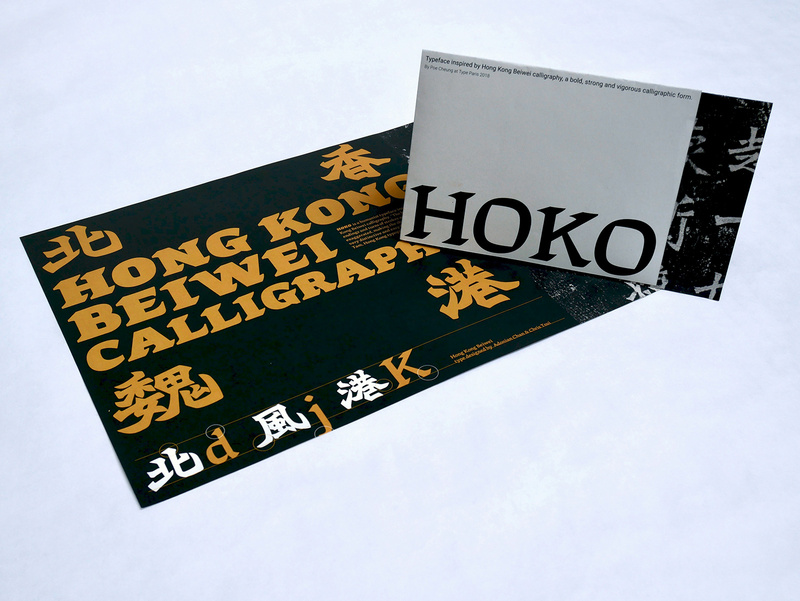 Hoko is a humanist typeface inspired by Hong Kong Beiwei calligraphy. Influenced by the marks made by a chisel, Beiwei Kaishu has a rustic sensibility, with sharp strokes, dynamic forms and slightly asymmetrical constructions. 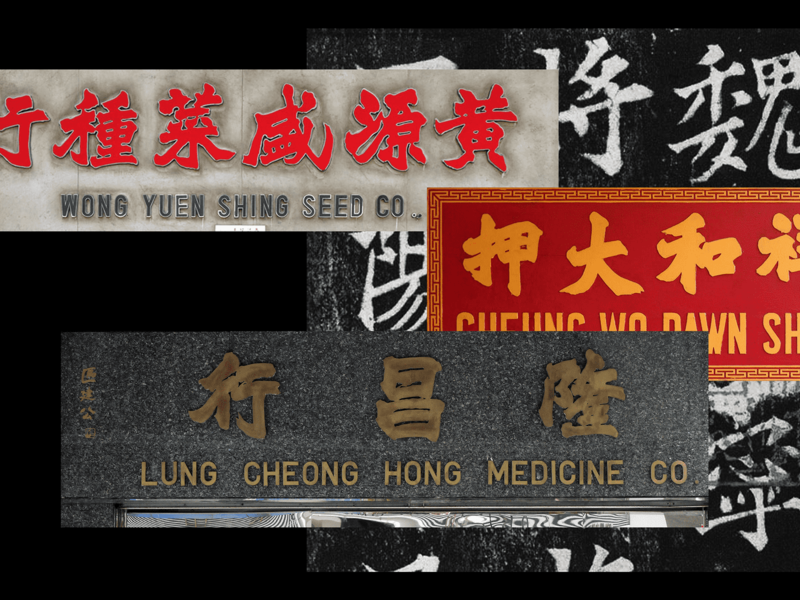 If you have been to Hong Kong, you can easily find a Beiwei style of shop sign at a traditional store. It is very bold, strong for people to see from a far distance. 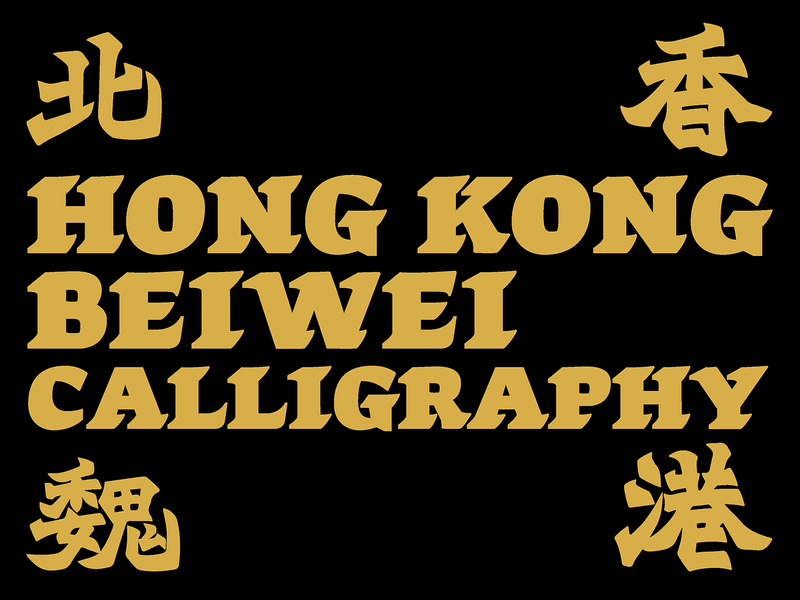 There are type designers in Hong Kong now trying to digitize this style of calligraphy into a set of display type. 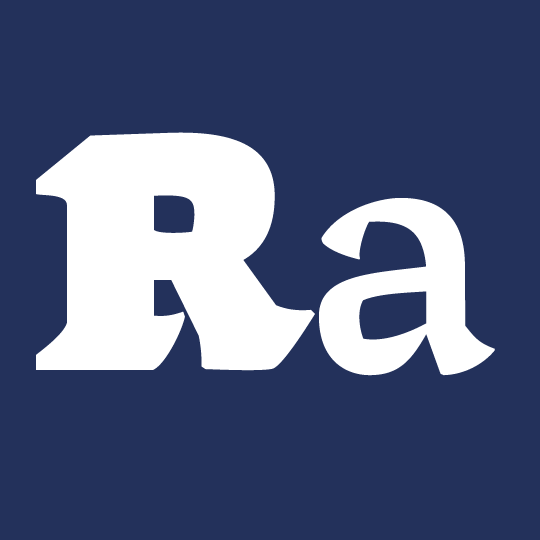 My aim is to design a Latin typeface working with this style of font. 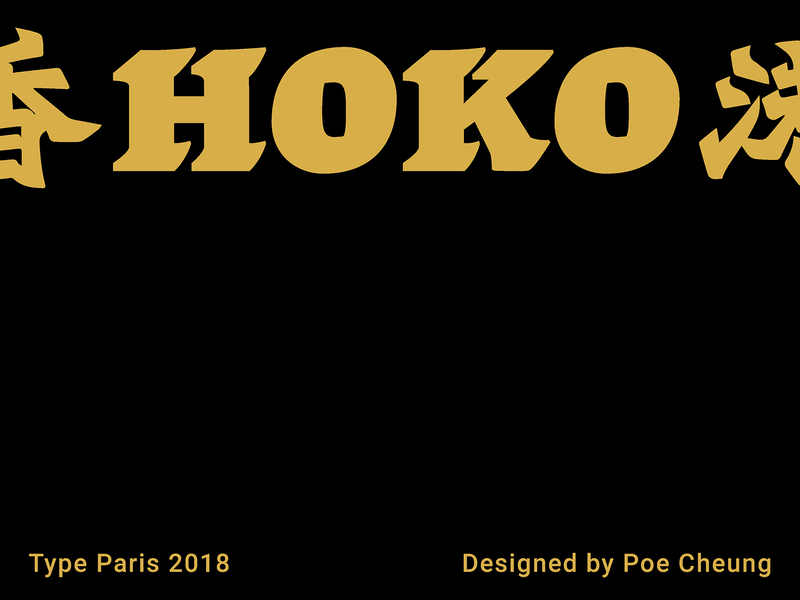 Hoko is available in 2 weights, a regular weight for texts and a heavyweight for display. I try not to copy the stroke from Chinese calligraphy directly, but apply the characteristic of the Chinese calligraphy to Latin system. 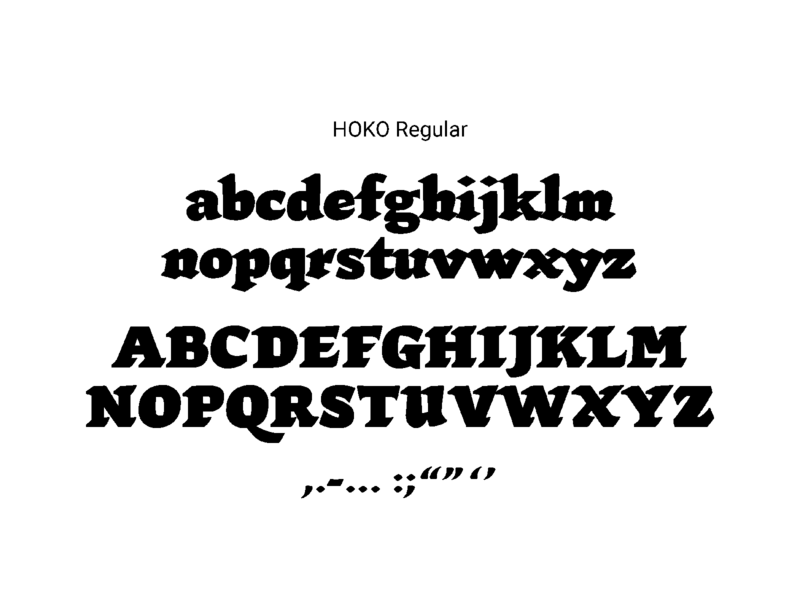 HOKO has distinctive serif system. 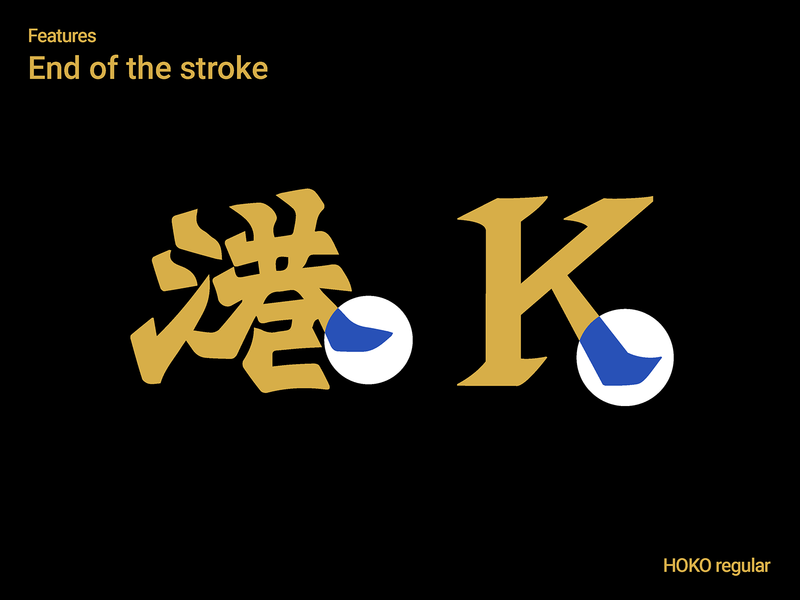 For Hoko Regular, the form of the letters is dynamic. 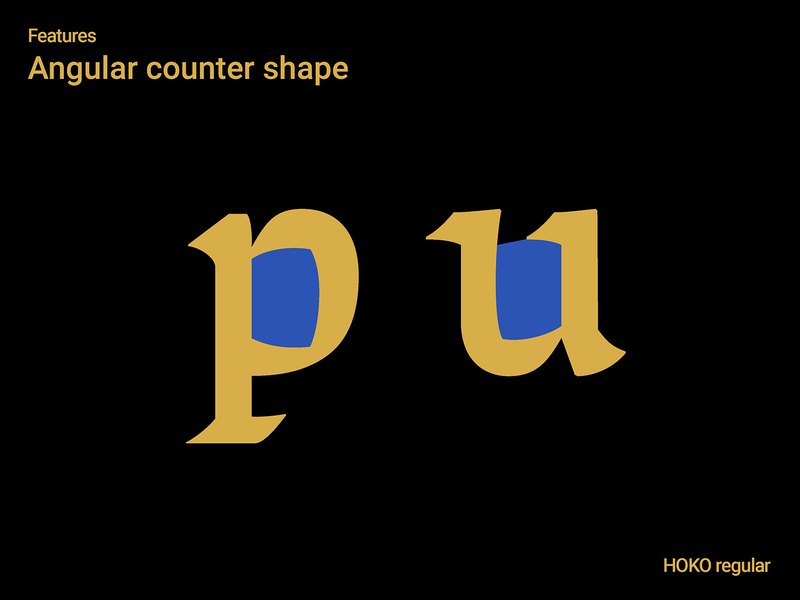 Influenced by the tool of epigraphy, the strokes of the letter are sharp and with an asymmetrical structure. 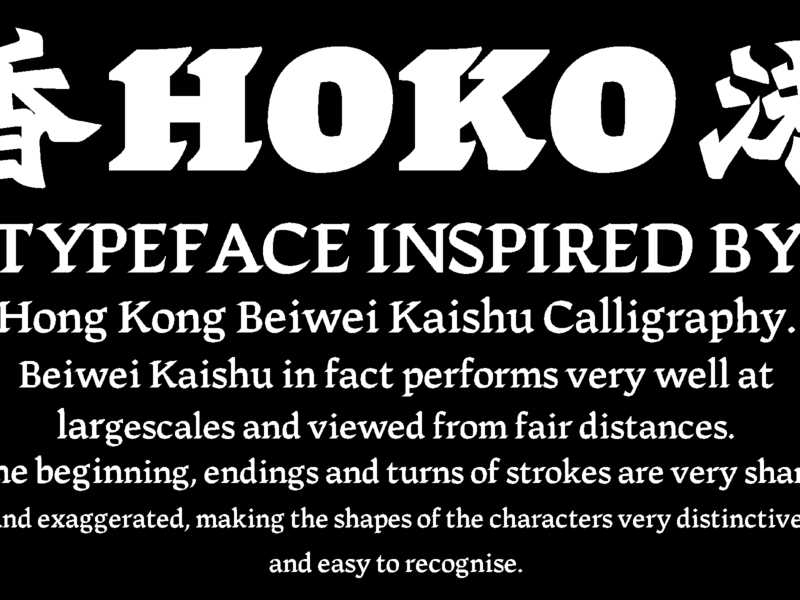 Hoko Heavy is a bold and strong display type for large scales and could be viewed from fair distances. 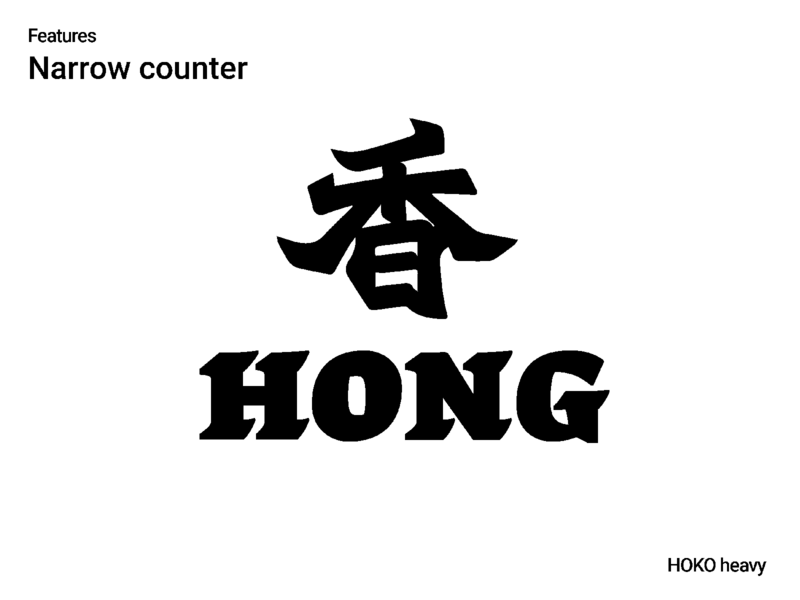 It features narrow counter spaces, super bold stroke and also asymmetrical structure as well.